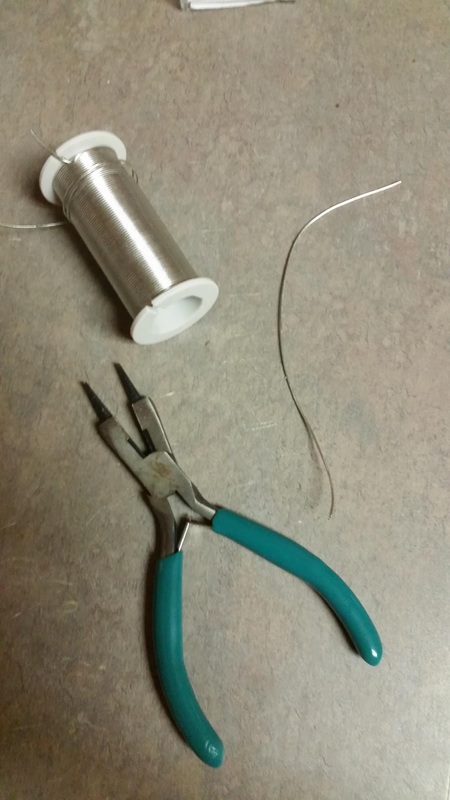 Cut 3-5 inches of wire. String 2 of the 8mm pearls like so onto the wire. 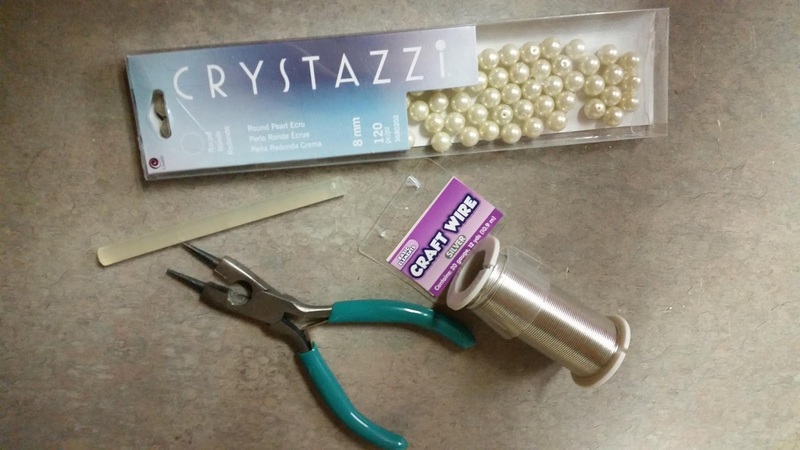 Twist the bottom to make a shank. 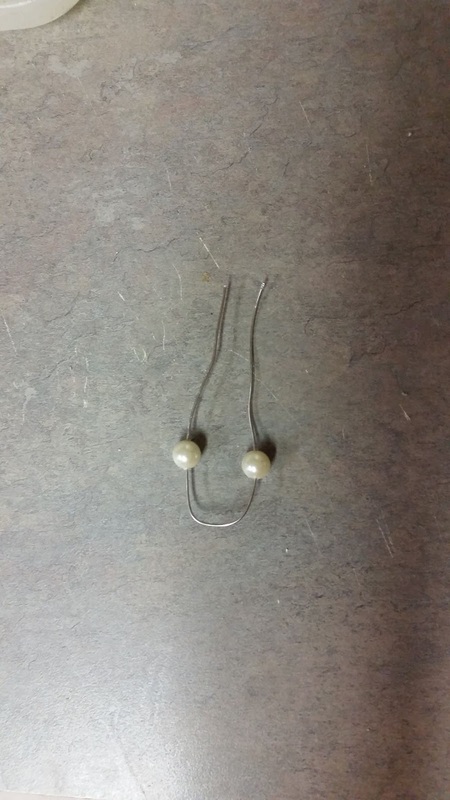 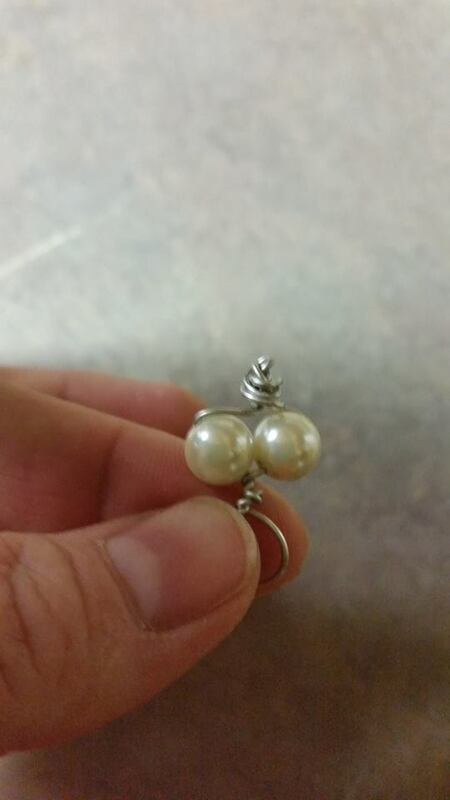 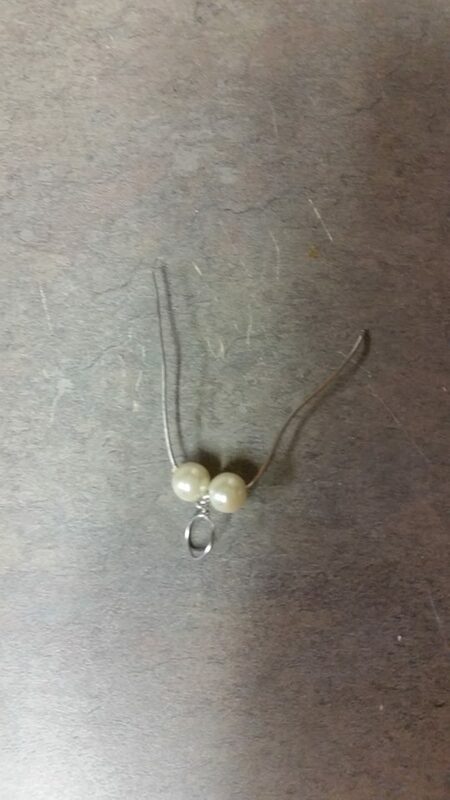 Twist the top to make a place to put the pearls onto. 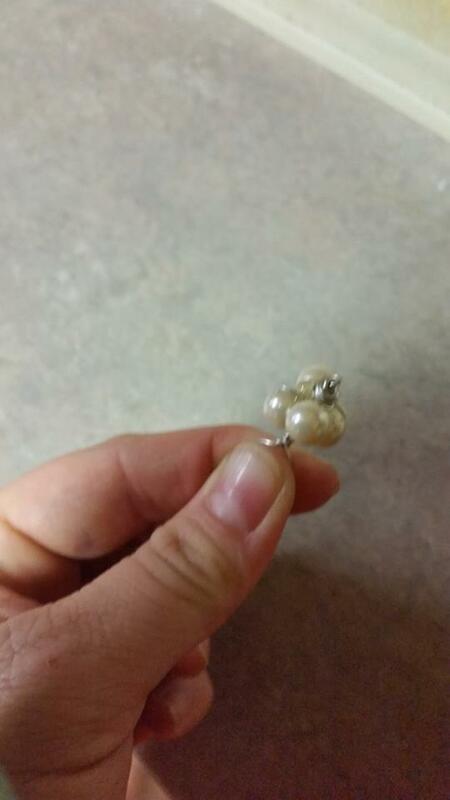 Add a pearl to each side with a dab of hot glue. 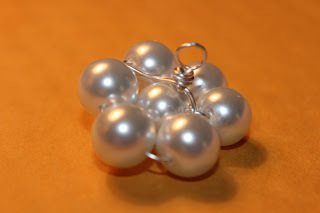 Add more until wire is hidden and until button is desired size. 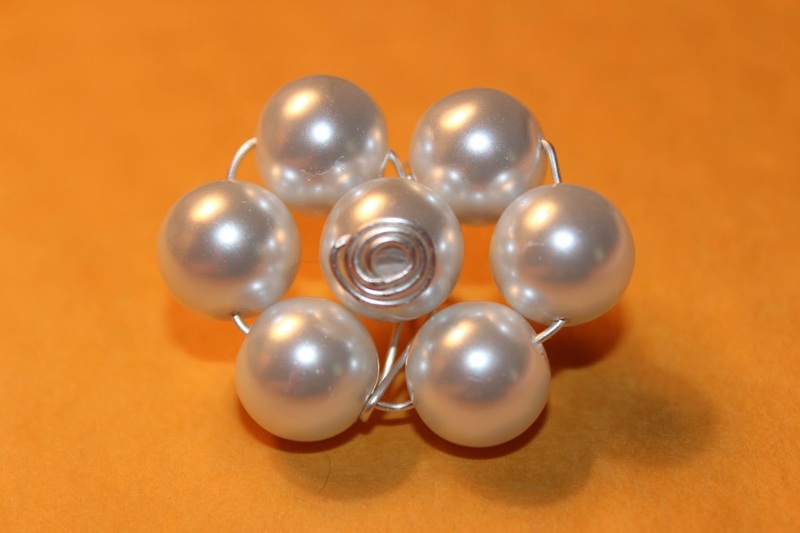 created a beautiful pearl button as well! 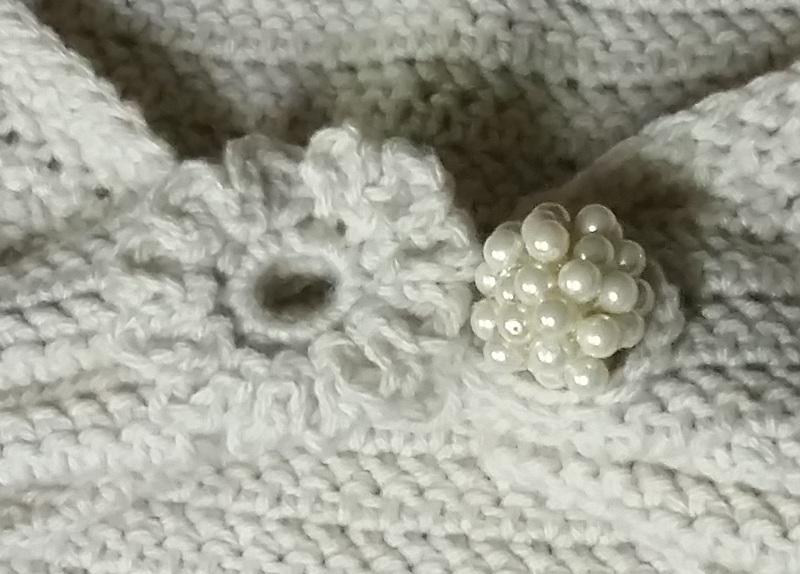 « Wings of Spring Empire Dress (NB-8) Pattern Release! 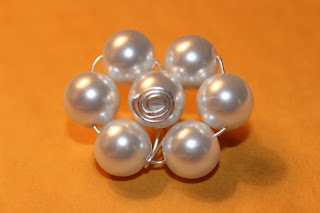 I tried making pearl rings this way a few years ago – it was quite messy, but fun trying to come up with the different color combinations. 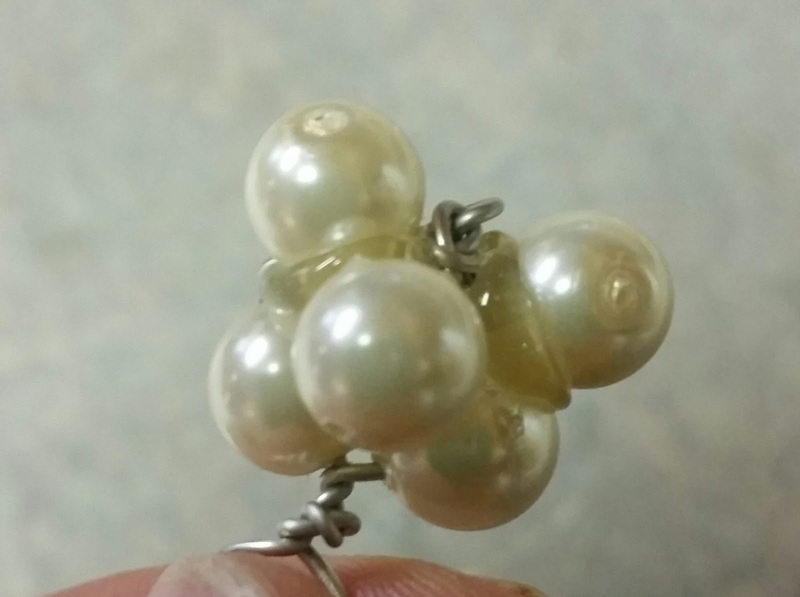 I also found that the hot glue didn’t hold for long with use – perhaps E6000?